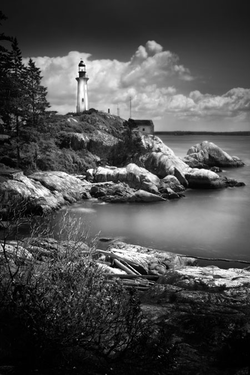 West Vancouver is a district municipality in the province of British Columbia, Canada. A member municipality of Metro Vancouver, the governing body of the Greater Vancouver Regional District, the municipality is northwest of the city of Vancouver on the northern side of English Bay and the southeast shore of Howe Sound , and is adjoined by the District of North Vancouver to its east. 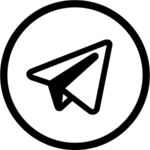 Together with the District of North Vancouver and City of North Vancouver, it is part of a local regional grouping referred to as the North Shore municipalities, or simply "The North Shore". West Vancouver has a population of 42,694 (2011 census). Cypress Provincial Park, mostly located within the municipal boundaries, was one of the venues for the 2010 Winter Olympics. West Vancouver is also home of Canada's first shopping mall, Park Royal Shopping Centre, and also of the Horseshoe Bay Ferry Terminal, one of the main connecting points between the British Columbia mainland and Vancouver Island. 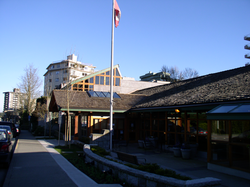 The Municipality of West Vancouver was incorporated on March 15, 1912, after separating from the District of North Vancouver. The first municipal election was held on April 6, 1912. 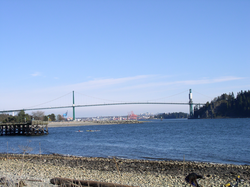 In November 1938, the Lions Gate Bridge was opened to traffic, allowing extensive growth of the semi-populated community, previously only accessible by ferry. 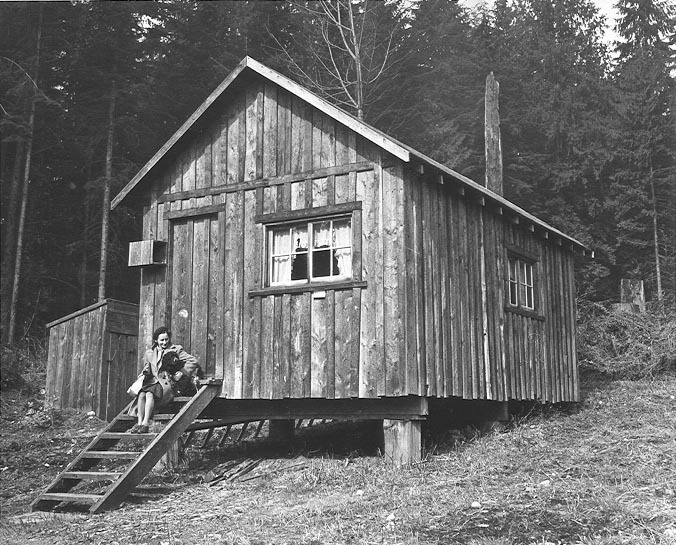 Some homes in West Vancouver date back to the 1920s and 30s, though most of the currently existing dwellings were built in the 1970s and 80s, and mostly in British Pacific Properties' developments. 1903 Navvy Jack Thomas, a Welsh deserter from the Royal Navy, was the first Caucasian resident of West Vancouver, offered first ferry service to Vancouver in a rowboat. 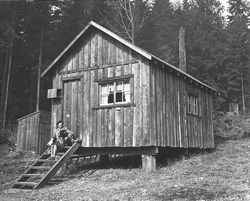 Their house still stands today at Ambleside and there is a Navvy Jack Point. Thomas' nickname Navvy Jack today remains used in British Columbia English to mean washed pea gravel used in construction and landscaping trades, as he was the original supplier of the material to Vancouver and mined it from coves in West Vancouver. 1912 West Vancouver separated from the District Municipality of North Vancouver and incorporated on March 15, 1912. 1938 Lions Gate Bridge finished, opened May 29. The bridge cost a total of $6 million to build. It was financed by the Guinness family, in conjunction with the development and marketing of the British Properties. 1973 Clyde McRae completes a world record walk across Canada on Ambleside Beach. West Vancouver has no manufacturing industry by law. West Vancouver is mainly a residential district as many residents are retired, work at home, or take the short commute to downtown Vancouver. A 25-block strip of Marine Drive serves as a commercial district, featuring shops, small offices, garages and gas stations, restaurants, banks, and other common amenities. This area is commonly known as 'Ambleside', with a one-block section separated from that area known as 'Dundarave'. West Vancouver is also home to Park Royal Shopping Centre , Canada's first mall. Opened in the 1950s, it now consumes 2 km of both sides of Marine Drive near North Vancouver, and is home to several department stores and large retailers, as well as many small retailers. Park Royal is also the largest mall on the North Shore, and is a bus terminal for Blue Bus and North Vancouver TransLink buses. 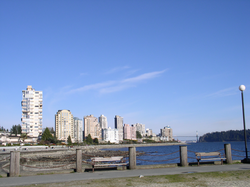 Ambleside Park and the 15 block long West Vancouver Seawall are popular spots for families and outdoor enthusiasts. Whytecliff Park is regarded as one of the best scuba diving spots in Western Canada . The District also has many other small parks, as well as Lighthouse Park at Point Atkinson, which contains some old-growth forest and has with views of Vancouver from downtown to Point Grey and is the boundary-point between English Bay and the Strait of Georgia . 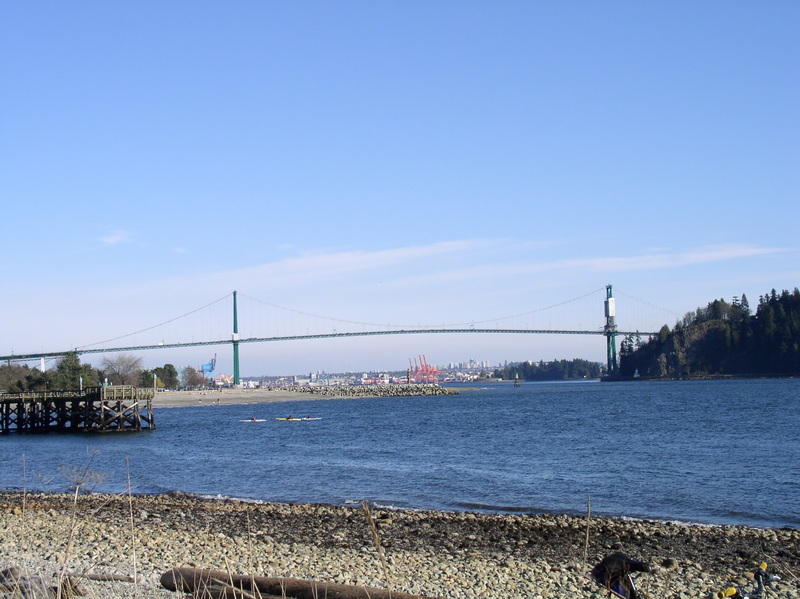 John Lawson Park is also another popular area for families, it features a playground for children, an open grass field for families to picnic, and a view of Lions Gate Bridge and the downtown skyline which are both across the water. 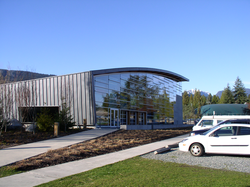 West Vancouver has several public recreation facilities including an 18-hole par 3 golf course, a pool, an ice rink, basketball and tennis courts, skateboard parks and numerous public parks. 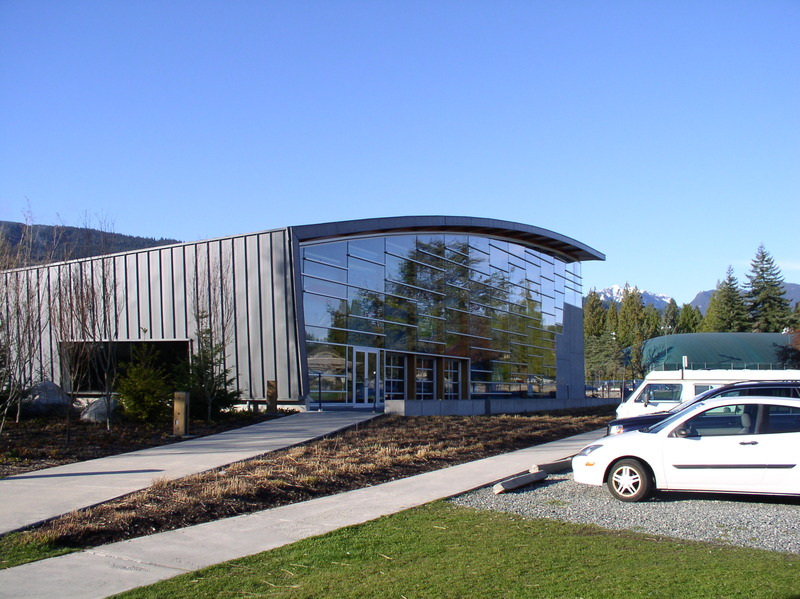 The new West Vancouver Community Centre (or WVCC) has been rebuilt and opened Spring 2009. West Vancouver is also home to Cypress Provincial Park with mountain biking trails and a large ski and snowboard facility, which served as one of the venues for the 2010 Winter Olympics . According to a Statistics Canada 2011 census, West Vancouver has a population of 42,694. It has the second highest percentage of persons aged 65 or older in BC with 22% of persons fitting into the category, compared with 13% for the rest of the province. The top five professions in West Vancouver are professional science and technical services; retail trade; health care; finance and insurance; and educational services. A large portion of the population is involved in senior management in comparison with the rest of the province. 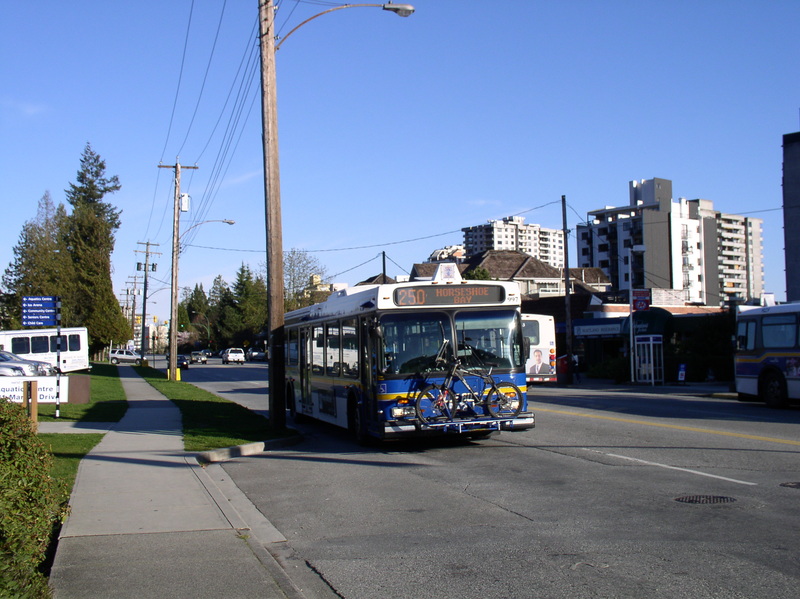 West Vancouver is served by West Vancouver Municipal Transit , commonly known as Blue Bus. It is Canada's longest running municipal transportation system and Canada's first 100% wheelchair accessible transit system. 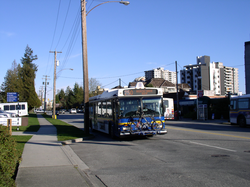 West Vancouver Municipal Transit is one of two bus companies in the Greater Vancouver region operating under contract for TransLink , and transfer is free between West Vancouver Municipal Transit buses and other TransLink buses. The only freeway route within municipal limits is British Columbia Highway 1 (part of the Trans-Canada Highway ), which begins in the community of Horseshoe Bay and continues east into the District of North Vancouver . Highway 99 also runs through West Vancouver, sharing the freeway alignment with Highway 1 between Horseshoe Bay and Taylor Way, and connects the municipality with Downtown Vancouver (via the Lions Gate Bridge ) and Whistler (via the Sea-to-Sky Corridor). Additionally, BC Ferries operates routes departing from Horseshoe Bay to Nanaimo , Bowen Island , and the Sunshine Coast . West Vancouver is known for its parks such as Cypress Provincial Park , which offers scenic views of Howe Sound and the Metro Vancouver area. Whytecliff Park and Lighthouse Park , near the community of Horseshoe Bay , at the continental terminus of the Trans-Canada Highway. All of West Vancouver is situated on the side of the Coast Mountains . Because of this position, many homes in West Vancouver have views of Vancouver Island, the Lower Mainland, and/or Howe Sound . West Vancouver is home to some very large, luxurious and expensive properties and houses. 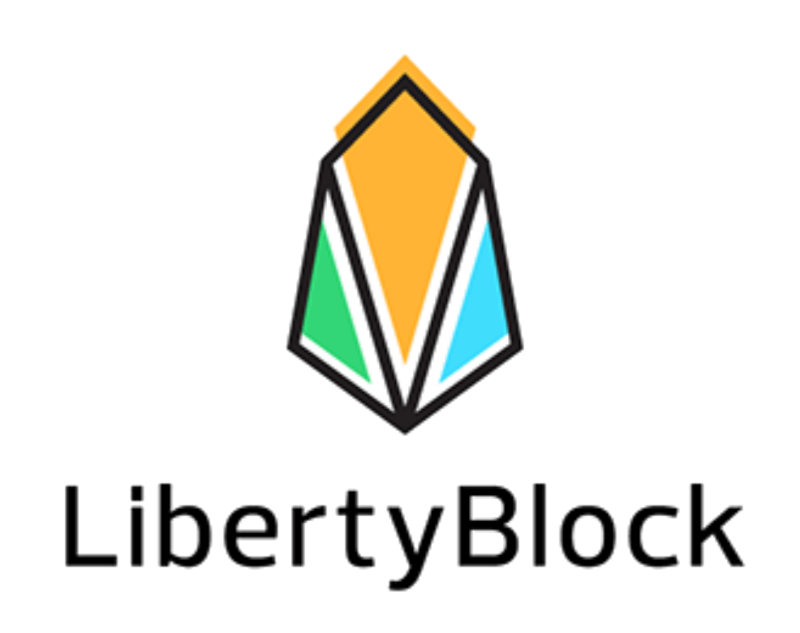 Occasionally, houses have been priced and sold at around CAD$ 30,000,000. As of 2011, West Vancouver's average house sells for over CAD$2,000,000;  95% of the houses or close to 16,000 homes are worth over CAD$1 million. West Vancouver is Canada's wealthiest municipality, with the district of North Vancouver just next door the second richest. In West Vancouver, average total incomes were $86,253 for males and $48,070 for females, almost double the provincial average. Over 80% of the population has a total family income of at least $100,000. As of 2011, the mayor is Michael Smith having been elected by acclamation on November 19th, 2011 . West Vancouver ridings typically include Squamish and Whistler, and sometimes the Sunshine Coast. 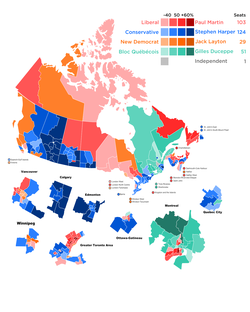 Provincially, Joan McIntyre and Ralph Sultan of the BC Liberal Party were elected to the West Vancouver-Sea To Sky Country and West Vancouver-Capilano ridings, respectively, in the 2005 Provincial election (West Vancouver-Sea To Sky Country includes Squamish, Whistler and Pemberton). Federally, West Vancouver-based ridings historically have voted Conservative since 1974, electing John Reynolds of the Reform Party of Canada (later the Canadian Alliance ) from 1997 to 2004. Reynolds declined to run for re-election in 2006 , however, and Liberal Blair Wilson defeated Conservative John Weston to replace Reynolds as Member of Parliament from the West Vancouver—Sunshine Coast—Sea to Sky Country electoral district . Wilson left the Liberals in 2007 and joined the Green Party in 2008, becoming the first Green Member of Parliament. The re-election in 2008 saw a rematch between Weston and Wilson. This time Weston emerged as the victor, carrying nearly triple the vote of his incumbent opponent to handily return the riding to the Conservatives. Weston won again in 2011. In the 2015 federal election , Weston was unseated by Liberal candidate Pam Goldsmith-Jones , who was previously the mayor of West Vancouver from 2005 to 2011. Public schools are operated by School District 45 West Vancouver . A West Vancouver Blue Bus . The Lions Gate Bridge viewed from Ambleside Park. 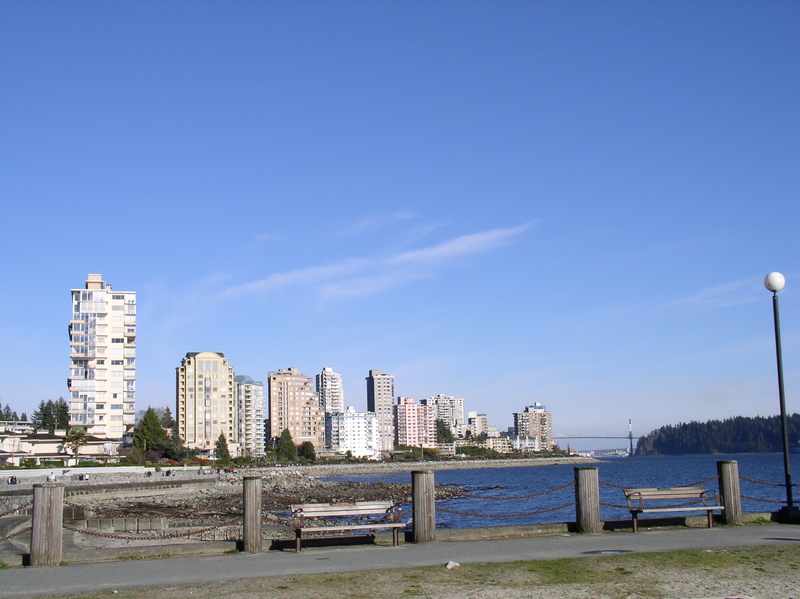 Apartment and condominium towers lined along the seawall . 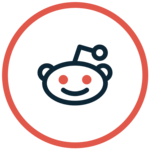 All information for West Vancouver's wiki comes from the below links. Any source is valid, including Twitter, Facebook, Instagram, and LinkedIn. 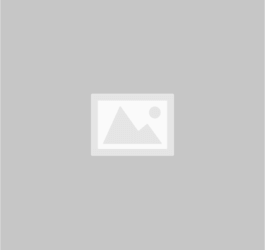 Pictures, videos, biodata, and files relating to West Vancouver are also acceptable encyclopedic sources. 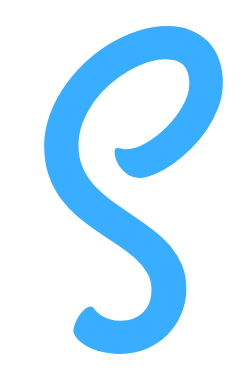 "British Columbia Regional Districts, Municipalities, Corporate Name, Date of Incorporation and Postal Address"
"2006 Community Profiles - Census Subdivision"
"Census Profile - West Vancouver"
Other wiki pages related to West Vancouver.